I’m not posting much at the moment. 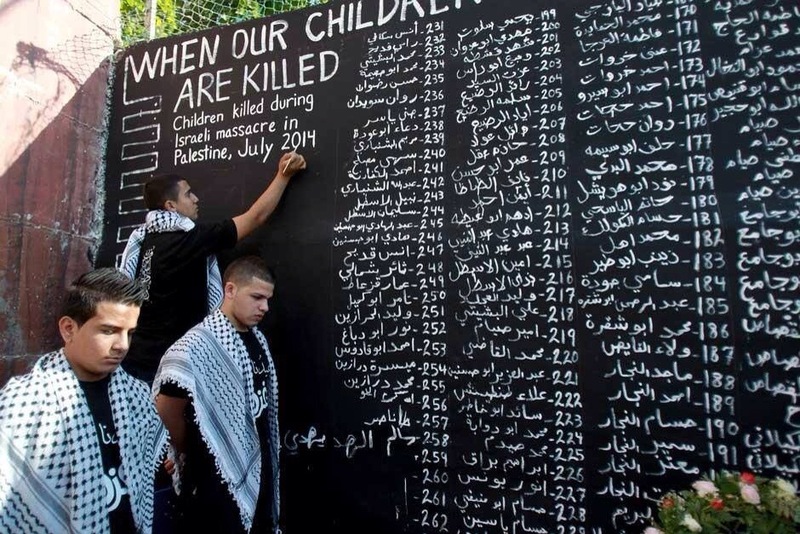 Here’s the reason: the appalling images coming from Gaza have moved me to tears over and over again this week, as I’m sure they have many of you. It’s made everything else seem ridiculous, superficial and irrelevant. The hackneyed phrase ‘deepening crisis’ is so overused when describing the Arab/Israeli conflict and although I know enough about history to know why we find ourselves here, I would not claim to know every new political development in the region. What I do know from friends is that Palestinians are treated as second class citizens. That a form of apartheid is in place in the region. I knew all this before, I have had both Palestinian and Israeli friends over the years – but somehow after the initial horror you move on, and even forget. What’s really terrified me however over the last few weeks has been the shocking brutality and randomness of the current attacks on Gaza. How on earth is it possible to justify this? One comment posted on Facebook this week made the point that when IRA was bombing the mainland during the Troubles we didn’t retaliate by bombing residential streets in Northern Ireland. It’s a rather apt comparison. A similar proportionality seems to have gone somewhat astray in Israel (if it was ever there). So, why can’t we airlift these children to safety? Why is the world just watching in horror and failing to act….how much longer before Israel is boycotted in the way South Africa was all those years ago. Part of this I know the answer to: all neighbouring countries have closed their borders…for the people of Gaza there is simply no escape. There is a lot at stake and no one is going to intervene. Although boycotting as individuals seems like a terribly good idea, the reality is that we would literally need to boycott pretty much every UK high street store (M&S, Tesco, Sainsburys, Waitrose, Starbucks…the list is long…). So, is this about annihilating a whole people? Even the thought makes me shudder in fear. I should declare a vested interest at this point: yes I am a Muslim and that in itself makes it harder to see my Muslim brothers and sisters suffering. But I know that right-minded people whatever their faith are similarly horrified at the suffering in Gaza. This is not about faith or politics anymore, to me at least, this is about suffering of the sort that no one should have to endure. You won’t see me posting at #freepalestine hashtags or Palestinian flags – I know the issue is too complex for that – but you may see me posting #freeGazaschildren – let them be free of suffering and horror and pain.